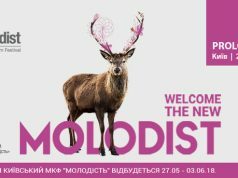 The official opening ceremony of the 46th Kyiv International Film Festival Molodist took place at the Ivan Franko Theater this past Saturday, attended by film stars, jury, partners and friends of the festival. The guests walked the red carpet and were greeted by the festival General Director Andriy Khalpakhchi and Executive Director Vladislav Lyasovskiy. 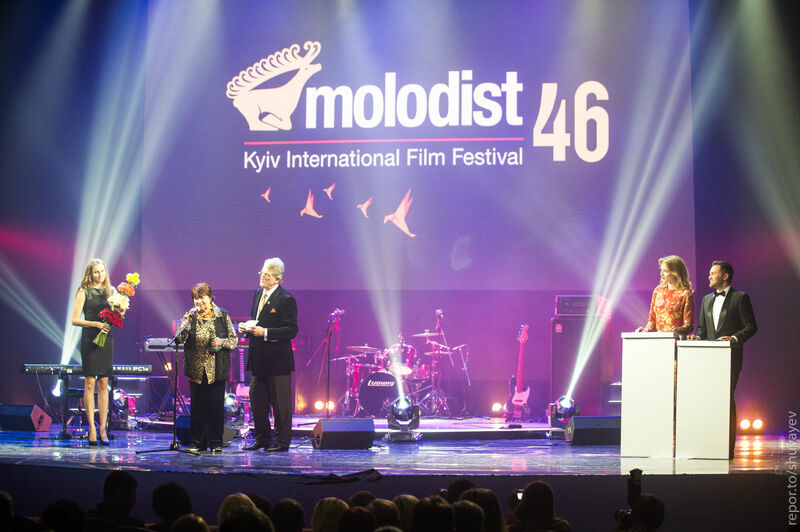 The opening ceremony was also attended by the Honorary President of the Festival Viktor Yushchenko, who presented the award for the contribution to world cinema to the cult, world-famous Hungarian director Márta Mészáros. In addition, guests were addressed by Vice Prime Minister of Ukraine Vyacheslav Kyrylenko, Deputy Mayor of Kyiv Oleksiy Reznikov and Minister of Culture Yevhen Nyshchuk. 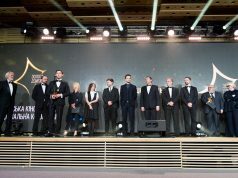 The festival opening featured the presentation of competition and non-competition programs, the juries for the international and national competitions, the jury for the “Sunny Bunny” program and the children’s jury. The Telnyuk Sisters and Brunettes Shoot Blondes provided musical entertainment. International guests of the festival included: Denis Cote – Head of International competition jury, Mohammad Attebai – International competition jury, Grimur Hakonarson – International competition jury, Alik Shpilyuk – International competition jury, Ben Sharrock – International competition jury, Andrei Alferov – National Competition Jury, Brian Robinson – Sunny Bunny jury, Nataliya Ilchuk – Sunny Bunny jury, Jacques Martineau – director of “Theo and Hugo,” Šarūnas Bartas – director of “Peace to Our Dreams,” Mantas Kvedaravicius – director of “Mariupolis,” and many others. 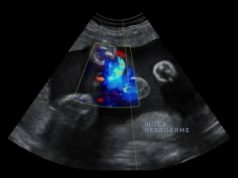 The opening film of the festival, “Une Vie” (2016) by French director Stephan Brize, was screened after the opening ceremony. The feature is based on the Guy de Maupassant novel of the same name and was in the main competition at the annual Venice International Film Festival.